Where can I get my Diesel Generator serviced? Right here! BUSINESS LAND diesel generator servicing contracts are the most practical and efficent in the market due to our honest, open and straightforward approach. We will work with you to help you to comprehend and budget for the key generator servicing costs, minimising nasty surprises when you need generator repairs and maximising their reliability…. A committed Project Manager to guarantee your requirements are understood and responded to rapidly and efficiently. Bi-Annual generator service visit (Major & Minor Services available). Control Panel & Instrument checks. Full service documentation, sent immediately after the visit via email. Recommendations for remedial work or generator repairs. A vast range of critical spares in stock and ready to be dispatched the same day if required. All Makes & Models can be dealt with including Caterpillar, Cummins, FG Wilson, MTU, AKSA and many more. Please fill the below form to book a Diesel Generators Maintenance and service. Your diesel generator, whether it is used for primary or back-up power, needs regular maintenance in order to function properly. Diesel generator maintenance can be easy to forget about, especially for back-up equipment or gen-sets that are rarely used. However, the whole point of having a back-up power supply is knowing it is there what you need it! Diesel generator maintenance is fairly straightforward and easy to predict. The best practice is almost always to simply follow the maintenance schedule provided by your generator’s manufacturer. Adhering to this schedule fairly faithfully is the key to a long and trouble-free life for your generator. However, from time to time an expert maintenance engineer might suggest a change to that schedule in response to the actual performance of a particular generator. This will almost always mean more frequent inspections or preventative diesel generator maintenance, not less. Maintaining a diesel generator is very much a science rather than an art. Even the most state-of-the-art generators have been extensively tested before being marketed, and most diesel power generation technology has remained largely unchanged for decades. That means that manufacturers have a very good sense of when particular components are likely to fail or need attention. Whilst large organisations which own several generators in one or more locations or who regularly rely on on-site primary power generation likely already have at least one full time maintenance engineer, many smaller companies, or those who keep only one or two gensets as back-ups would find this impractical and expensive. Instead, they turn to electrical contractors or even generator dealerships to provide diesel generator maintenance on either a regularly scheduled or as-needed basis. The chief responsibilities of these service and maintenance engineers are to inspect the gensets under their care, maintain records of their actual performance, noting any variance from the technical data their manufacturers provided, and ensure that all safety procedures and preventative maintenance tasks are performed on schedule. This list is not exhaustive! 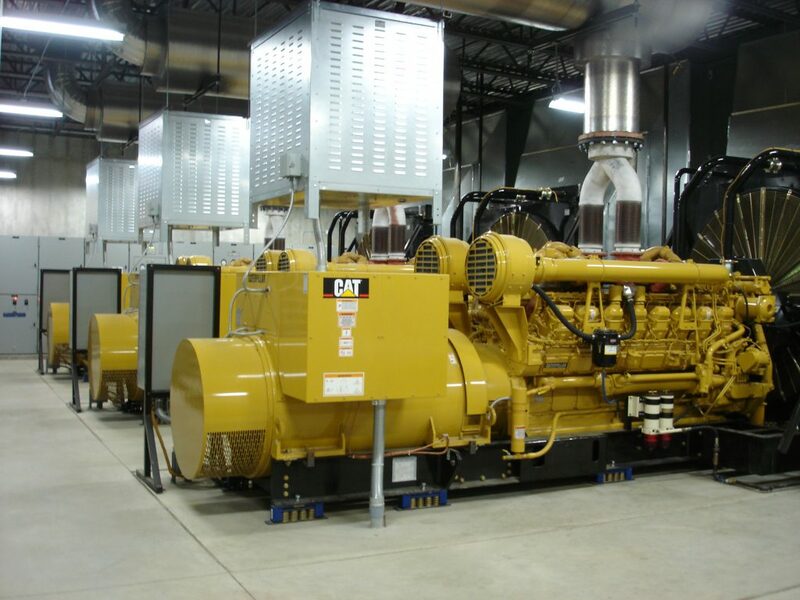 Make sure you follow the entire maintenance schedule outlined by your genset’s manufacturer! When maintaining a diesel generator, make sure you log every action taken and task performed. You should also make a record of all the vital readings you take, and any relevant observations. Make sure the date of each inspection is clearly recorded as well. That way, this data can be used to track your gen-set’s health over time. The main reason to do diesel generator maintenance is to protect what is most likely a major investment for your business, and to make sure that money is actually doing its job – making sure the lights stay on if there is a power cut. However, if you need more reasons.